Over 50 people gathered to celebrate the author and illustrator May Gibbs. 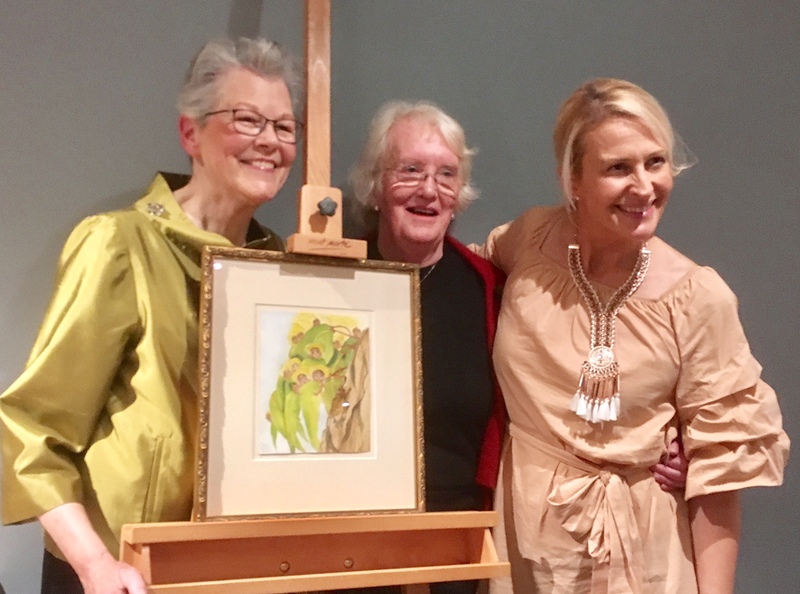 The National Centre for Australian Children's Literature brought together two passionate speakers on May Gibbs; Jane Brummitt and Tania McCartney. Jane Brummitt donated the artwork below to The Centre. 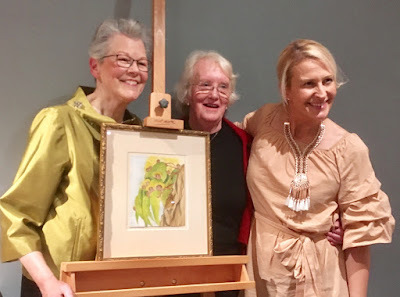 The painting is an original May Gibbs artwork, created in 1915 as a preparatory painting for an illustration in her first Australian book Gumnut Babies, published by Angus and Roberston. Tania McCartney also made a donation tonight. 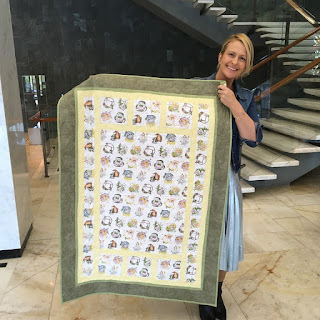 She donated the May Gibbs quilt that she won last year from a fundraiser raffle by The Centre. A post showing more about this May Gibb event will be available shortly.